The lovely folks at Laurence King Publishing recently surprised me with a beautiful new release from their adult colouring book range. 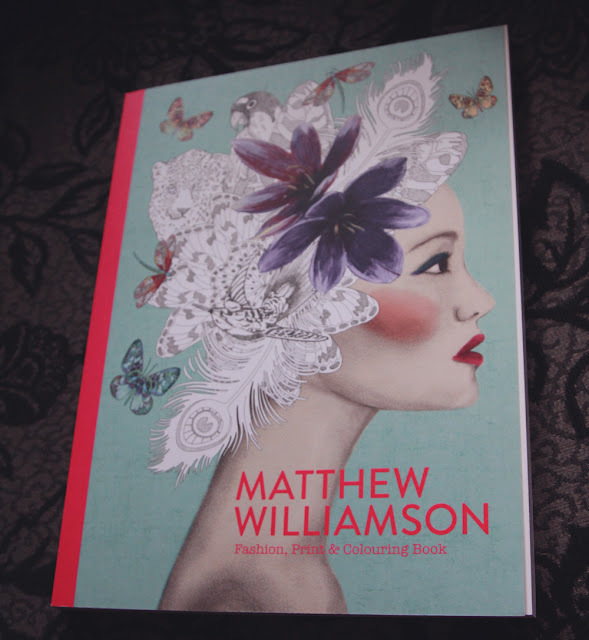 They sent me Matthew Williamson's Fashion, Print and Colouring Book* which you can buy direct from their website and anywhere good that sells books! I thoroughly enjoyed the last book they sent me, Floribunda by Leila Duly, so I was really excited to see this one. 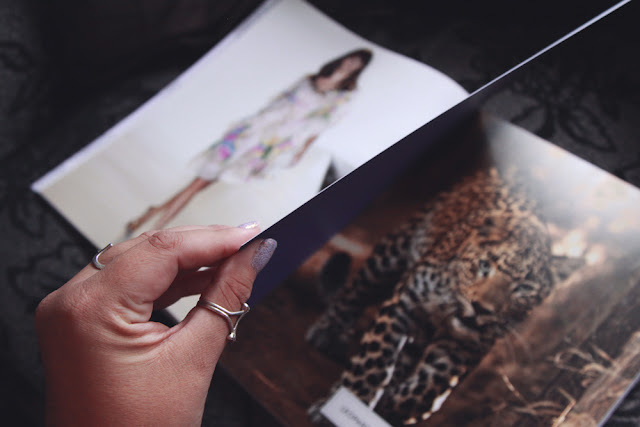 As a fashion lover, I was intrigued to see what form this book took, and it really blew me away. It's huge, a real coffee table book, and boy is it beautiful. 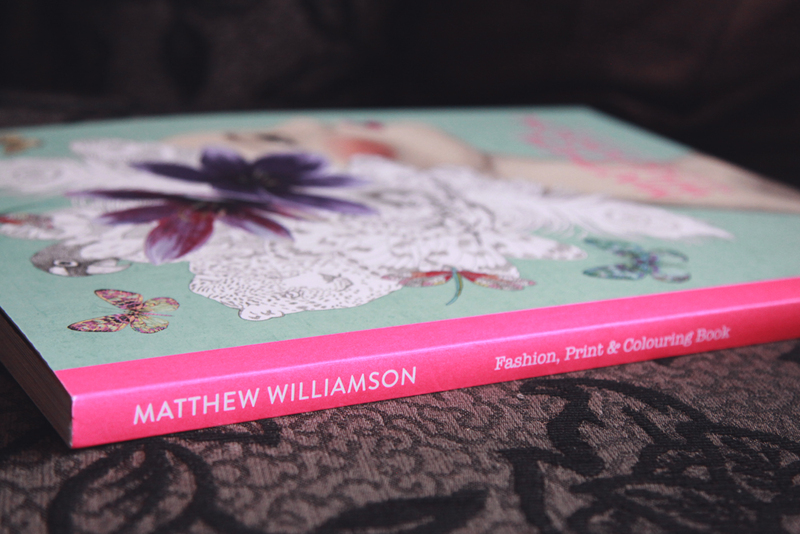 The focus in this book is prints in fashion which just absolutely delighted me. I half expected waif-ish models to be coloured in, but instead gorgeous prints greet you on every page waiting to be coloured in in whatever way your heart desires. 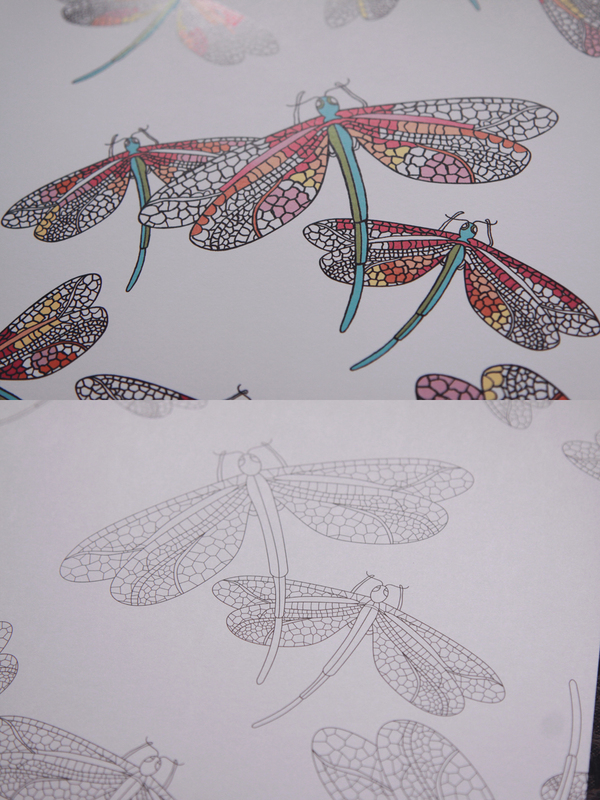 The quality of this colouring book is amazing. The paper is thick and I'm pretty sure you could use sharpies in this and it not be a problem. It's different from most colouring books in that each print actually have an example of it in colour, with a blurb on the history and design of the print itself. Look at those beautiful thick pages! I am seriously impressed. Especially by the price point which is £15.95. For that price and this quality, this is stunning. Theis would be a beautiful and unusual gift for Christmas! Moths, butterflies and dragon flies are a recurring theme throughout the book, which you know is right up my street! It made me so happy to flick through and see creatures that mean so much to me. Just look at those colours! This is the sort of book you could leave out on your table and feel proud to share. It's something really special and I was blown away by it. The book itself is quite large, measuring 33cm x 25cm, so you really are getting a lot for your money. I love this, and I am really looking forward to colouring it all in! 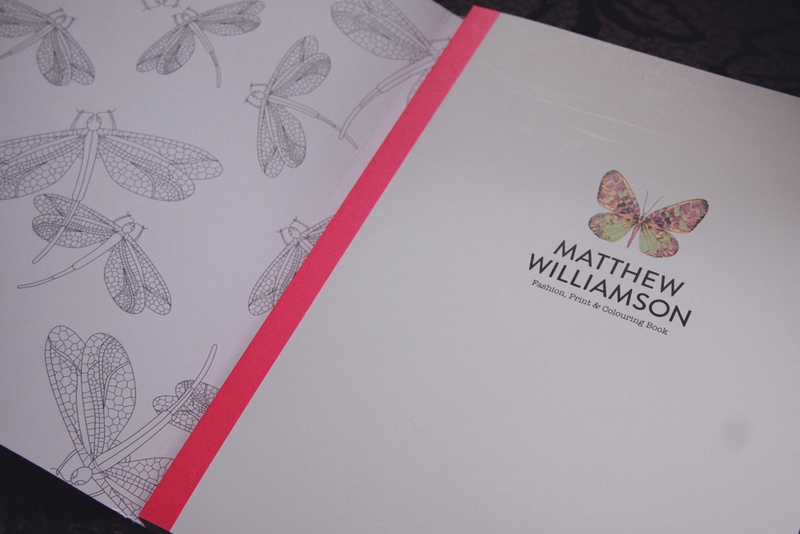 Laurence King make such gorgeous books, I highly suggest checking our their range. 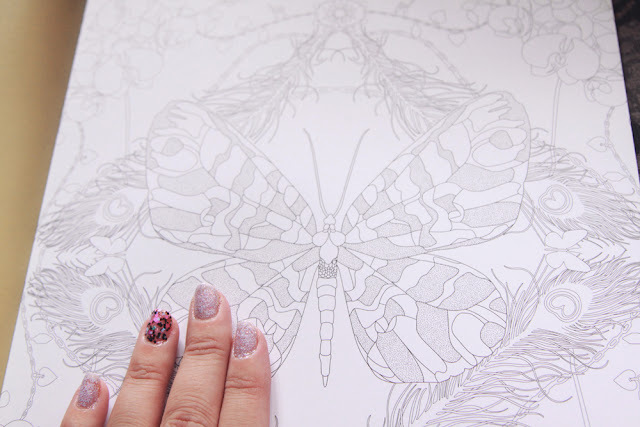 Colouring books for adults are a wonderful trend and I'm glad it's continuing. *this denotes an item that was gifted to me for review purposes. In no way does this impact upon my opinions which are entirely my own. I would love to have this. I love colouring books. 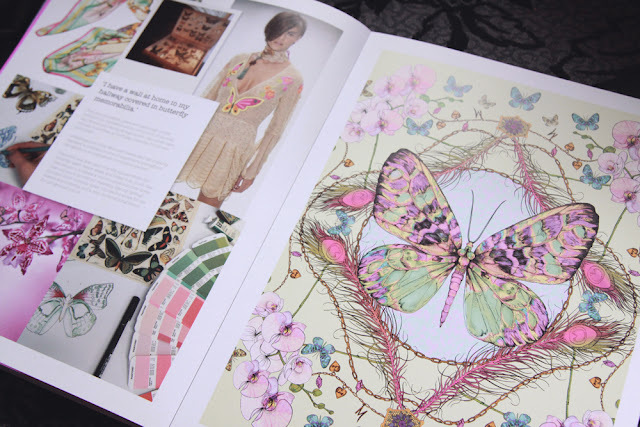 I never knew there were fashion colouring books around. Nice. It's such a different idea and it's beautiful!